Home » Infographics , Linux Distributions » The state of Linux: the most popular Linux distributions [Infographic]. The state of Linux: the most popular Linux distributions [Infographic]. 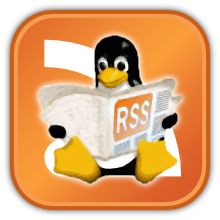 DistroWatch is a website which provides news, popularity rankings, and other general information about various Linux distributions as well as other free software/open source Unix-like operating systems such as OpenSolaris, MINIX and BSD. It now contains information on several hundred distributions. It was originally published on 31 May 2001, and is maintained by Ladislav Bodnar.The site maintains extensive comparison charts detailing differences between the package sets and software revisions of different distributions. It also provides some general characteristics of distributions such as the price and the supported processor architecture. There is also a Distrowatch weekly (often abbreviated DWW) that comes out on Monday "as a publication summarising the happenings in the distribution world on a weekly basis". As of 17 November 2008, 51/2 years and 278 issues later, Ladislav has decided to step down from the post of the editor for DWW. Ladislav says he will still continue "bringing you the latest release news and to keep all distribution pages up-to-date" while the DWW will be written by Chris Smart. Distrowatch has a monthly donations program, a joint initiative between DistroWatch and two online shops selling low-cost CDs and DVDs with Linux, BSD and other open source software. As of 7 June 2010, DistroWatch has donated a total of $24,478 USD to various open source software projects since the launch of the Donations Program in March 2004. How Torrents Have Affected the Music Industry. Top 10 Most Popular Torrent Sites of 2014.